Preheat the oven to 375 F. degrees and prepare a cupcake pan with cupcake liners. Whisk the flour, baking soda, pumpkin pie spice and salt in a bowl and set aside. Using a hand held mixer or a stand mixer cream the butter and Dixie Crystals granulated sugar on medium for 3 minutes. Next beat the egg and vanilla extract into the creamed Dixie Crystals granulated sugar and butter until completely incorporated. Scrap the bowl and add the pumpkin puree and beat 2 minutes. Combine the buttermilk and warm water. Alternately add half the liquid and half the flour mixture to the bowl while beating on low. Once all the ingredients have been added to the bowl beat on medium for 2 minutes. Evenly divide the batter between 20-24 cupcake wells filled about 3/4th full. Bake for 18 minutes turning the pan half way through the baking time. Remove the pan from the oven and allow to cool for 10 minutes. Remove the cupcakes from the pan to cool completely on a wire rack. 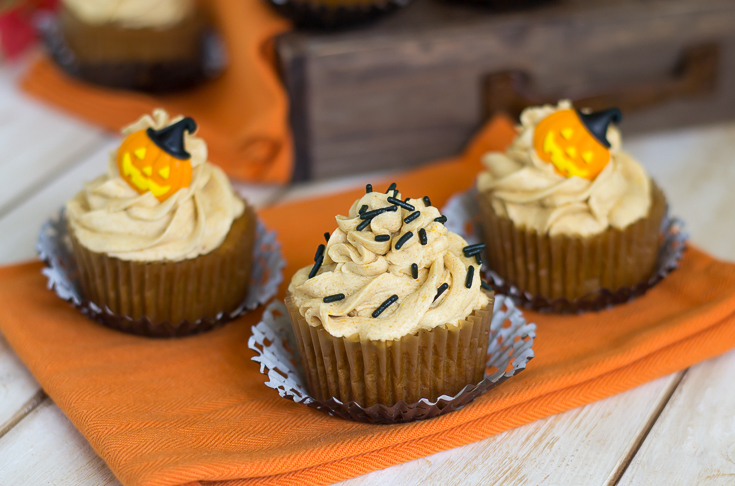 These moist and tender Pumpkin Cupcakes are topped with decandent Pumpkin Spice Butter Cream Frosting made with real pumpkin puree. 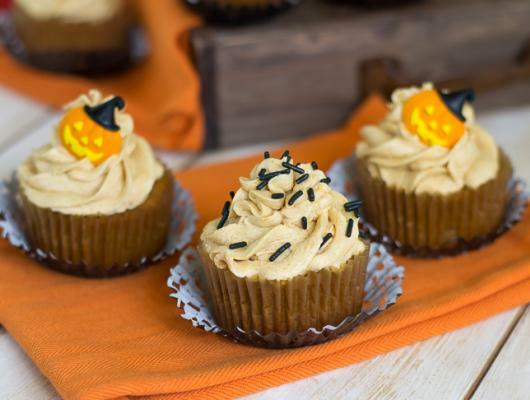 Perfect for a Halloween party or just because you love anything pumpkin flavored.